Preheat your oven to 170°C. Mix flour, cocoa powder, soda bicarbonate, and salt together. Melt the dark chocolate on a double boiler. Cream butter and powdered sugars till pale and fluffy. Add melted chocolate to the butter and sugar and mix thoroughly. Beat in vanilla extract and the cold egg. Now stir in the dry ingredients, and fold them in. Keep sprinkling in the oats for even distribution. You dough is now ready. Roll out balls of the dough and place them on your greased baking tray. Pat the balls to flatten a little, and bake for 18 to 20 minutes. 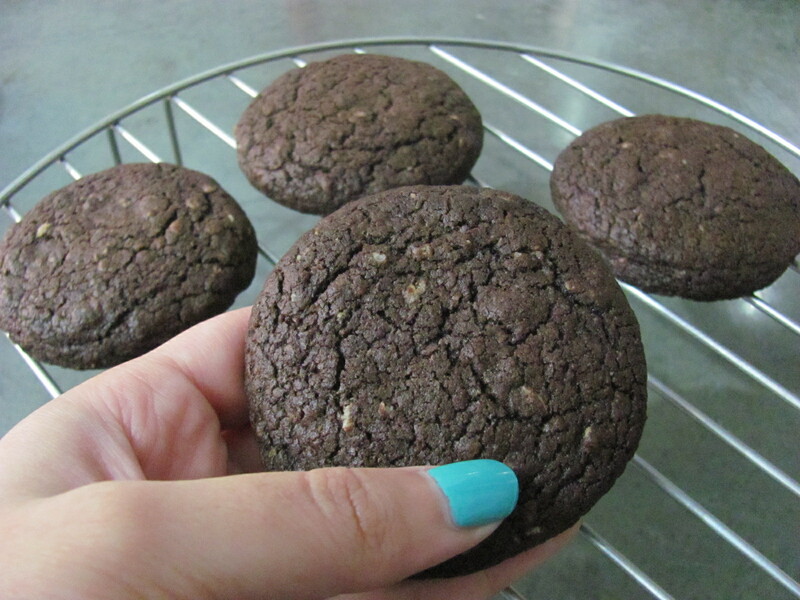 Cool the baked cookies on a wire rack, and enjoy! The variations to this basic recipe are endless. 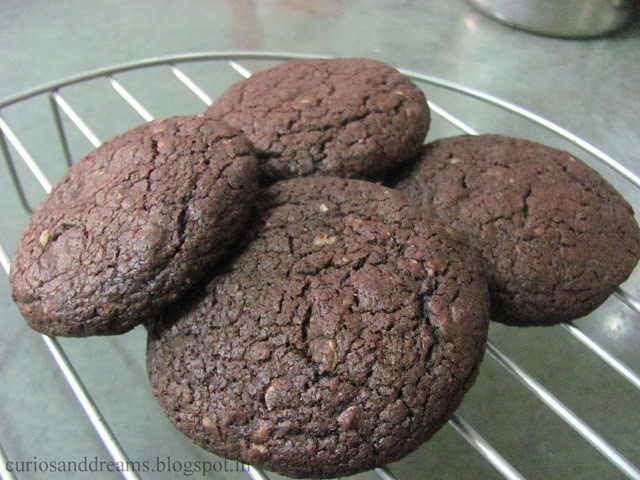 I have added chopped walnuts, chopped cashew nuts, orange juice and zest, rose essence, and chocolate chips many times when baking these cookies and they have turned out scrumptious! Also, keep in mind to adjust the temperature and baking time according to the size of cookies you roll out. As you can see, I make pretty large ones; the diameter is nearly 7cm!